Today I found out the origin of the Canadian flag. Oh, Canada—a member of the British Commonwealth and the land of maple syrup, lumberjacks, and bagged milk. The country’s flag, a red field with a white square in the centre featuring a red maple leaf, is among Canada’s most well-known emblems. As such, it might surprise some people to learn that this distinctive flag was adopted less than fifty years ago. Canada has a long history of flags. The first flag introduced to the country was St. George’s Cross in 1497 when John Cabot landed in Newfoundland. The cross was representative of England at the time. Later, in 1534, Jacques Cartier flew the royal coat of arms of France, along with a fleurs-de-lis, claiming the land for the French. The area, called “New France”, continued to fly the French flag at the time. From 1621, with the establishment of a British settlement in Nova Scotia, the British Union Flag was used. When Canada underwent confederation in 1867, becoming the Dominion of Canada, the three British colonies in Canada became four Canadian provinces. At this time, the need arose for a distinctive Canadian flag. The flag of the Governor General of Canada was used—a Union Flag with a shield in the centre which bore the arms of each of the provinces, surrounded by a maple leaf wreath. The maple leaf has been a symbol of Canada since around 1700. Long before Europeans settled the land, the aboriginal people of Canada were harvesting maple sap for its food properties—the forerunner of the much-loved pancake condiment, maple syrup. By 1848, the maple leaf had been declared as an emblem of Canada by both the newspaper Le Canadien and the Toronto literary annual, The Maple Leaf. The maple leaf was incorporated into the 100th Regiment badge by 1860, and Alexander Muir wrote a confederation song in 1868 titled The Maple Leaf Forever, which was considered the national song of Canada for decades. The maple leaf gained even more significance during World War II; Canadian soldiers fought under the Union Flag, and were distinguishable by the maple leaf badges they wore and displayed on their army and naval equipment. However, Canada wasn’t ready to make the maple leaf the main feature on its flag just yet. The next flag to be used was the Canadian Red Ensign, popularly adopted in 1870. 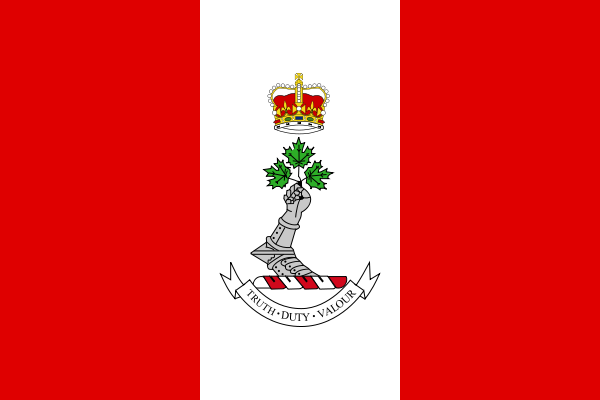 This flag was red with the Union Flag in the upper left hand corner and the Canadian composite shield—later the coat of arms of Canada—in the centre. The Canadian Red Ensign was never officially adopted by Parliament, however, and the Union Flag was still technically the official flag of Canada. 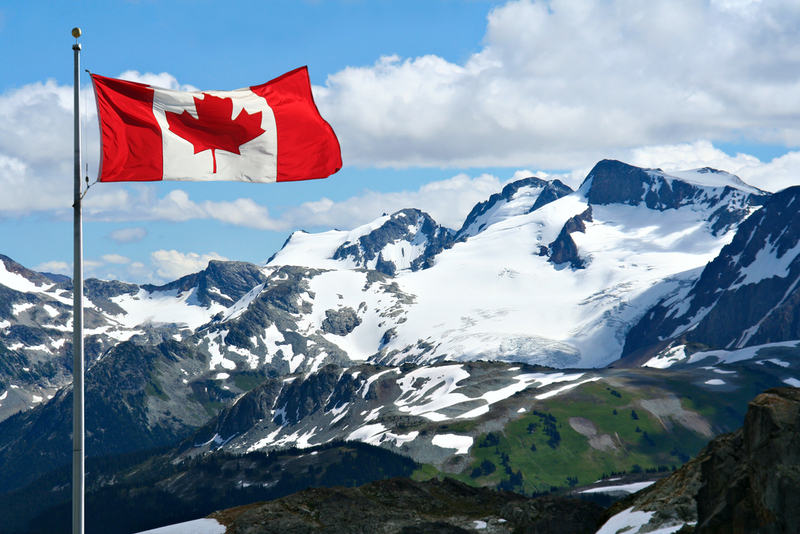 In 1925, a committee was set up by Prime Minister William Lyon Mackenzie King to design a new Canadian flag. The committee dissolved before the issue could be resolved, but more designs were suggested in the following years. In 1945, another committee was appointed to attempt to resolve the flag issue. The committee suggested a Red Ensign (the red field with the Union Flag in the upper left corner) with a gold maple leaf instead of the Canadian coat of arms. However, the legislators in Quebec argued that the official flag shouldn’t bear any “foreign symbols,” and the flag issue remained unresolved. Finally, in 1964, Prime Minister Lester B. Pearson called for the creation of a new Canadian flag. The creation of an official flag had become such a hot topic that it culminated in the Great Flag Debate in that same year. The Prime Minister presented a new design—making the maple leaf a prominent symbol on the flag—to Parliament on June 15, but his proposal was met with debate and indecision. The main issue was whether or not to include the Union Flag in the new Canadian flag. The proposal was considered for three months before being referred to an all-party committee. The committee asked for design ideas from the public and received thousands of submissions—just over 2000 of them contained a maple leaf. On October 29, 1964, the winning design was proposed. Dr. George Stanley’s suggestion inspired the current flag’s design. As the Dean of Arts at the Royal Military College in Kingston, Ontario, he looked to the college’s flag design, which bore three red maple leaves on a white and red background. 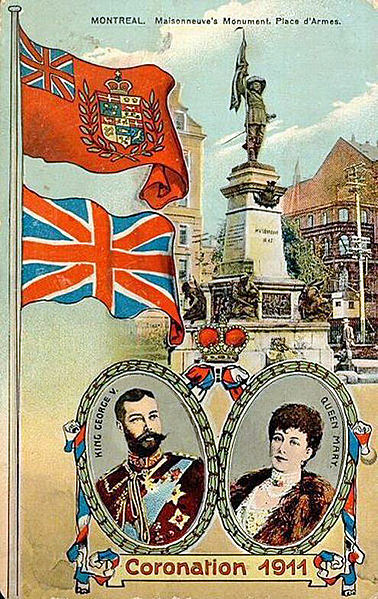 The colour combination was embedded in Canada’s history, as Queen Victoria had issued a General Service Medal with the red-white-red pattern in 1899. Parliament continued to debate, and it wasn’t until December 15, 1964 that a decision was finally made. At 2:15 that morning, Parliament voted to accept the maple leaf design with 163 votes for and 78 votes against. The official flag was hoisted for the first time February 15, 1965. Two years later, Canada celebrated its 100th anniversary and used the occasion to promote the new flag. John Diefenbaker, a conservative leader who led the debate, said of the prime minister and the adoption of the flag, “You have done more to divide the country than any other prime minister.” Despite his misgivings, the new Canadian flag was actually well-received by the public and the flag remains a much-loved symbol today. The red spaces on either side of the white square are exactly half the size of the square. The maple leaf on the flag has eleven points, but the eleven points have no symbolic meaning. Different designs were tested for how they looked in the wind, and it was found that the eleven-point design was less blurry than other designs when holding up against a strong wind. The various maple leaf symbols representing Canada used to be green, but switched to red to show one of Canada’s official colours. The Canadian Duality Flag is an unofficial flag bearing two vertical blue stripes between the white square and red rectangles. It was made in the lead-up to the Quebec Referendum in 1995, when voters decided whether or not Quebec should secede from Canada and become its own sovereign nation. The flag was made by the opposition to the referendum, who argued that Canada should remain unified. The blue stripes were added to represent the French speakers of Canada, but the flag was never officially adopted.